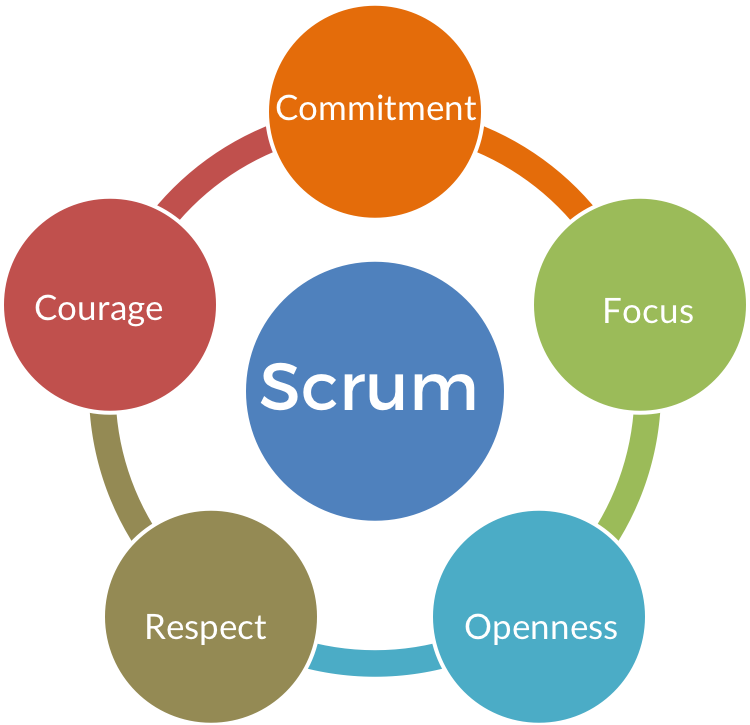 In May 2013 I described how there is value in the Scrum Values. I included that text in my book “Scrum – A Pocket Guide” that was published in November 2013. Early in 2018 I updated my description slightly to be included in a revision of my book that I anticipate. A group of Scrum enthusiasts subsequently translated that updated version to different languages. The last incremental update of the September 2018 release of the international versions of the Scrum Values is now available, as a free download (PDF): The Scrum Values (international versions) -September 2018 (R3). Early in September following new languages were released as a new baseline version: Filipino-Tagalog, Indian-Hindi, Polish, and Spanish. Throughout September we went into a continuous delivery mode and released additional languages as they became available: Persian, Arabic, and Danish. Chinese (simp/trad): Lana Sun, Wei Lun Teh, Chee-Hong Hsia. Filipino: Shirley Santiago, Warren Yu. French: Fabio Panzavolta, Mohamed Gargouri. German: Uwe Schirmer, Peter Götz, Dominik Maximini. Hindi: Punit Doshi, Hiren Doshi, Nagesh Sharma. Turkish: ilkay Polat, Lemi Orhan Ergin. In the document you will also find my Dutch translation. 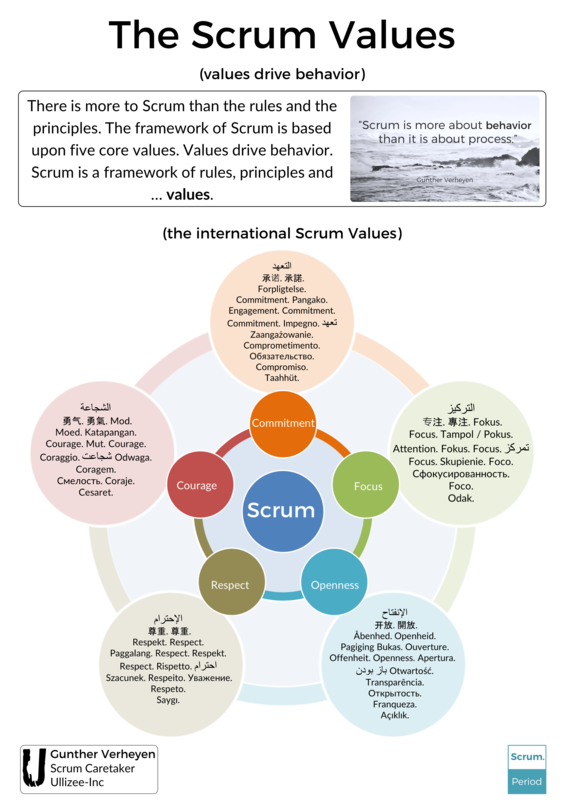 I maintain the base English version on the Scrum Values section of my website.